We are pleased to announce that during the month of November, we will be demonstrating the most advanced digital products in the hearing healthcare industry. 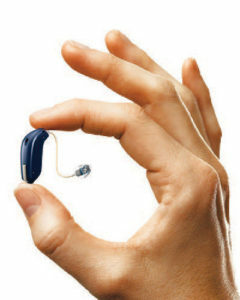 In fact, we will be showcasing the amazing Oticon Opn™ with BrainHearing™ technology! Our trained audiologists will be on hand for a special two-day event, November 6-7 (Tuesday–Wednesday). Demonstration of the new Oticon Opn featuring BrainHearing™ technology that scans your environment and processes sounds, giving you a more natural, effortless listening experience. Review and demonstration of the latest treatment options for ringing/noises in the ear. Two-week free trial of the latest technology. Four years of FREE BATTERIES with purchase of Oticon Opn devices. Why Should You Treat Your Hearing Loss? Hearing involves more than just your ears. When you are experiencing a hearing impairment, your brain must work harder to fill in the missing pieces. This can negatively impact your emotional wellbeing, leading to isolation and depression. That’s why it makes sense to take care of your hearing health the same way you care about the rest of your health; there’s a lot more riding on it than just your hearing. Please RSVP by calling (307) 222-2941. Appointments are limited, and remember, there is no cost for these services during this special event.